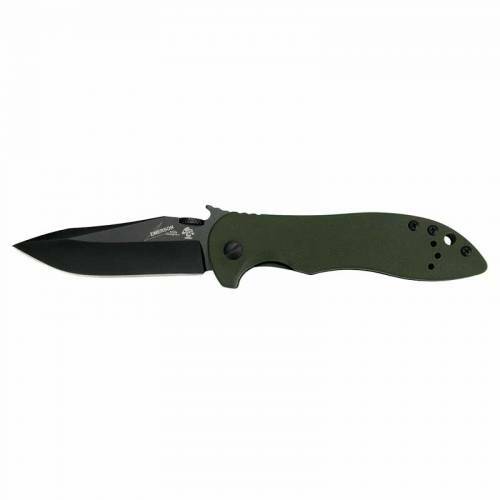 Kershaw CQC-5K Knife - Olive Drab. Designed by Emerson, built by Kershaw. Features a modified clip-point blade for versatile cutting capability. Blade is coated with a Black-Oxide non-reflective coating.